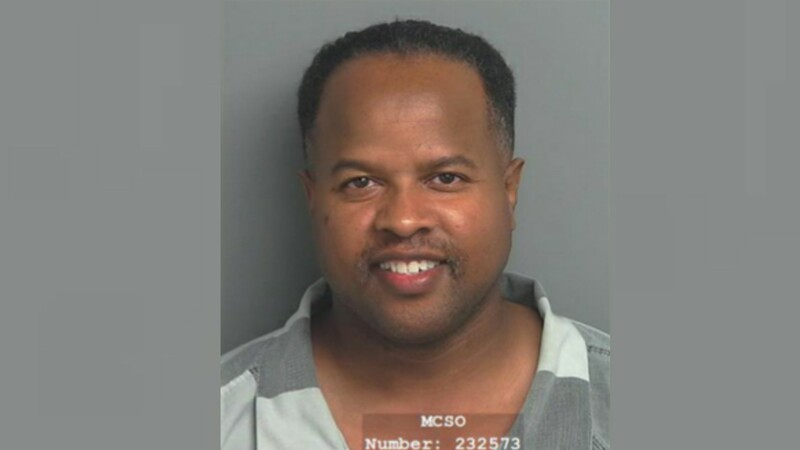 There's a disturbing election result occurring in House District 27 in Texas, where Representative Ron Reynolds (D-Missouri City) has been re-elected to the state legislature while serving a sentence behind bars. From inside “Pod 2” in the Montgomery County Jail, 45-year-old Reynolds remains in custody even today. He was first transported to the jail after being found guilty of five counts of barratry back on September 7th, 2018. The Missouri City lawyer was also found guilty of illegally soliciting clients from a chiropractic firm back in 2015. He was sentenced to a year in jail for those convictions. Local news and<a href="https://www.kxan.com/news/investigations/tx-house-member-wins-re-election-from-a-jail-cell/1577793977"> NBC affiliate KXAN </a>says Reynolds attempted to appeal that case several times but turned himself in after he ran out of eligible appeals. Initially sentenced by a county court Judge, Reynolds had spent the better part of the last three years relying on <i>other attorneys</i> to try and win an appeal for him. In 2016, Reynolds was subsequently disbarred from practicing law, according to the<a href="https://www.chron.com/neighborhood/sugarland/news/article/Jailed-State-Rep-Ron-Reynolds-runs-unopposed-in-13367741.php"> Chron.com </a>website. Prosecutors claimed Reynolds, a Democrat who represents parts of Harris and Fort Bend counties, used a middleman as an ambulance chaser to gain clients. Running unopposed, the Democratic Party’s Texas Representative for District 27 was a shoo-in for pollsters and analysts. Most of those experts say they were stunned at the lack of a challenge in running against the criminal Democrat, whereas there seemingly was no interest in preventing Reynold’s re-election. This marks <i>the fifth term</i> for the brazen Democrat, as the 27th District Representative continued to maintain his innocence despite his conviction. Due to all of the convictions being misdemeanors, Reynolds does not have to resign from office. However, unless Reynolds' sentence is either reduced or commuted, he will still be in a jail cell when the legislature reconvenes in January of 2019. Reynolds could be absent for the first year of the 86th Texas Legislative Session, meaning that he'll necessarily be serving the state of Texas from behind bars. The Texas Legislative Session completes on September 7th of 2019. Despite Reynolds being sentenced to one year behind bars, county jails often allow “good time credit” which can dramatically reduce time served behind bars. Prosecutor Joel Daniels from Reynolds’ trial and the chief of the white collar division in the Montgomery County District Attorney’s Office said that decision is left up to the Sheriff. “We don’t take any special pleasure in prosecuting Mr. Reynolds because of his role,” said Joel Daniels.